A playful piece exclusively available at Tatiana Tafur, the Stromboli Lamp is inspired by the tiny volcanic island of the same name. 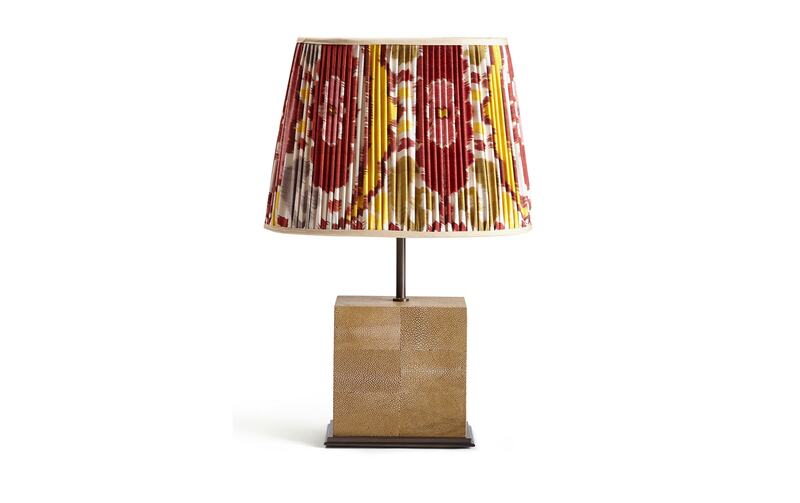 This enchanting lamp is handmade with dyed shagreen – an exotic, rare material made using the skin of rays. This piece is complete with dazzling bronze detailing. 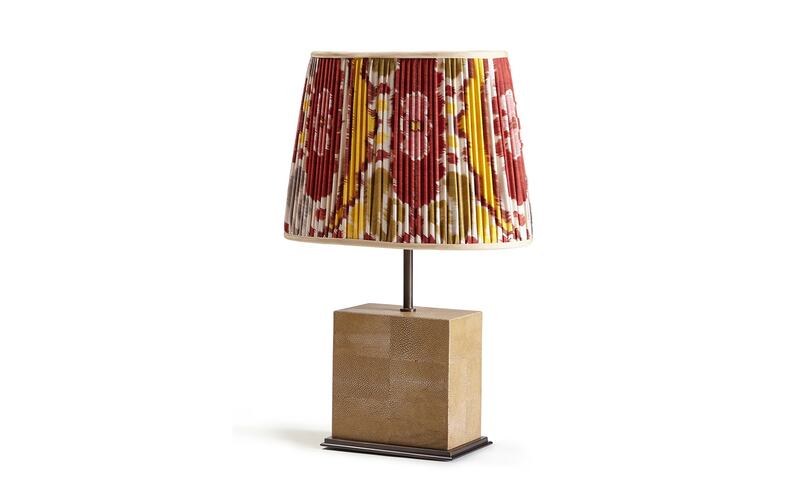 Handmade to order, this lamp is pictured with a wonderfully lush and floral Ikat silk shade, but can be customised to suit any interior. Available in a range of custom colours and shades. Custom colours of Shagreen and Metal trim available.